An introductory paragraph: Gostai Jazz robots have been made for mobile telepresence. 1-meter tall Jazz robots are mobile, fitted with a camera and connected to the Internet via wifi. The user connects to the robot from afar via any web browser. He can then control a robot in Paris from New York and see through the robot’s camera, which recorded image appears in the browser in real time. That way, the user can take part in a meeting, visit a place, and see what is happening in their office or factory in a natural and interactive way. There is no need to go anywhere as the robot “teleports” the user, who can listen to and see the robot’s surroundings and talk through the embedded loudspeaker while controlling the robot’s moves via an intuitive interface. What tasks can be done autonomously? Semi autonomously? 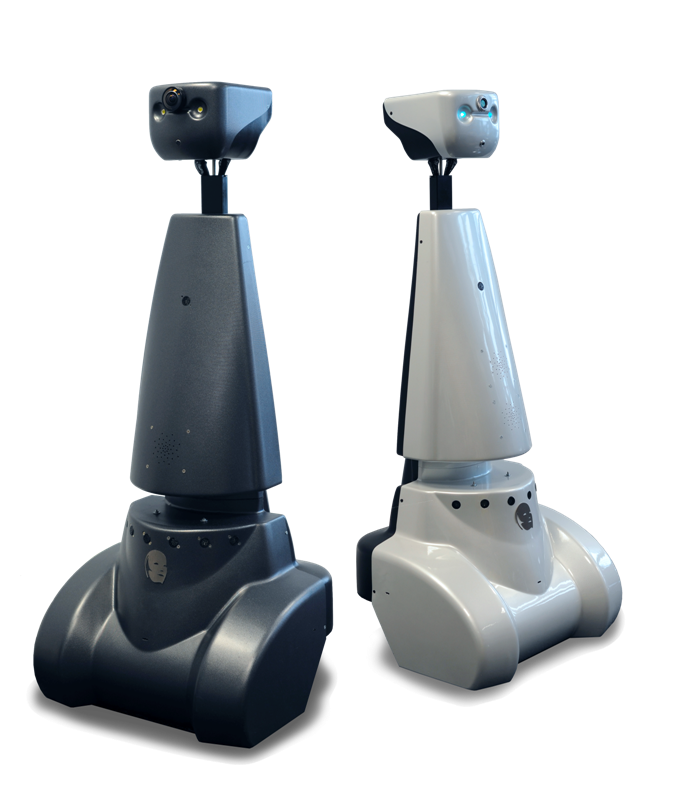 Remote-controlled robot for mobile telepresence. Jazz can be used to talk, hear, see and move in a remote environment.